Antergos is one of those distros that require a bit of luck and tough love to get going. For a while, it stubbornly refused to boot on my Lenovo G50 test system, and I let it be. Then, while my G50 was on the fritz (blink for the imperialists), I had it tested on my older LG RD510 machine, and I was quite impressed. 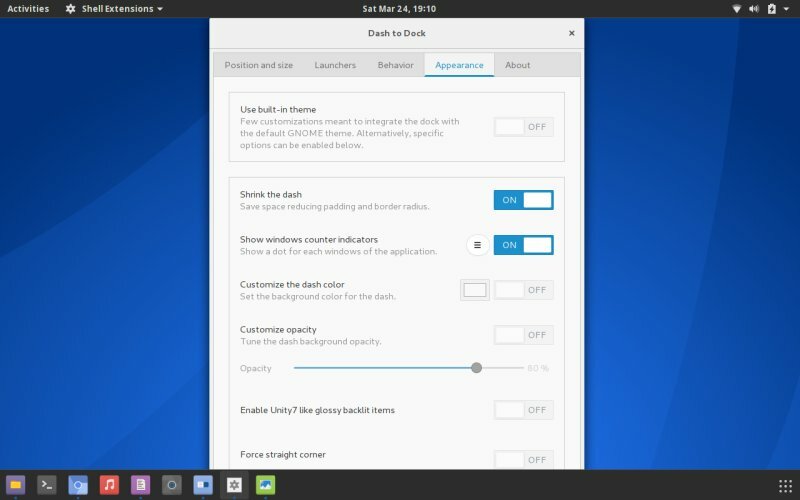 The distro delivered a fairly solid experience, with some nifty and unique tricks along the way. 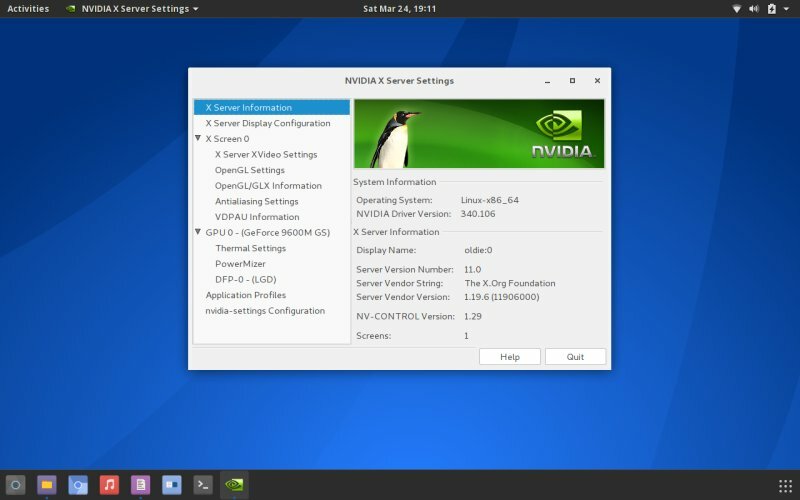 It is time to revisit the test with the 18.3 release, and once again, I'll be testing on the Nvidia-powered machine. Gnome, again, too. The reasons for this choice are many. 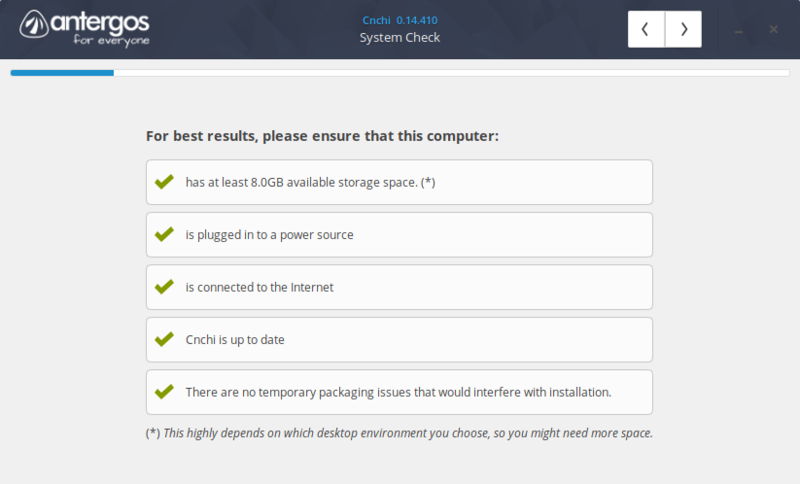 One I want to see how Antergos performs over time under the same test conditions, and not because I don't want it tested on the Lenovo. Perhaps it if proves worthy. Much like the recent Manjaro test, which I had extended once the distro showed good quality and promise. Two, we need some variety, hence Gnome. 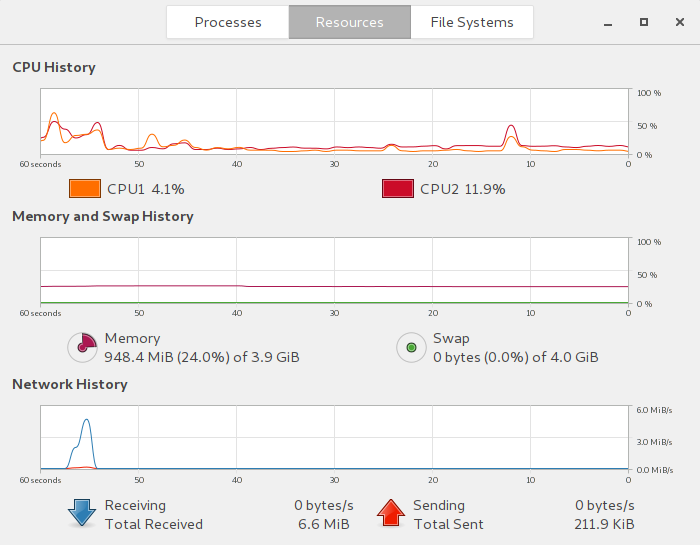 Three, Nvidia always makes for a fun test case. Shall we? The distro booted fine, no complaints. Some visual lint, mostly in the form of text messages and such, ergo you don't get a nice clear splash, but very few distros do that. 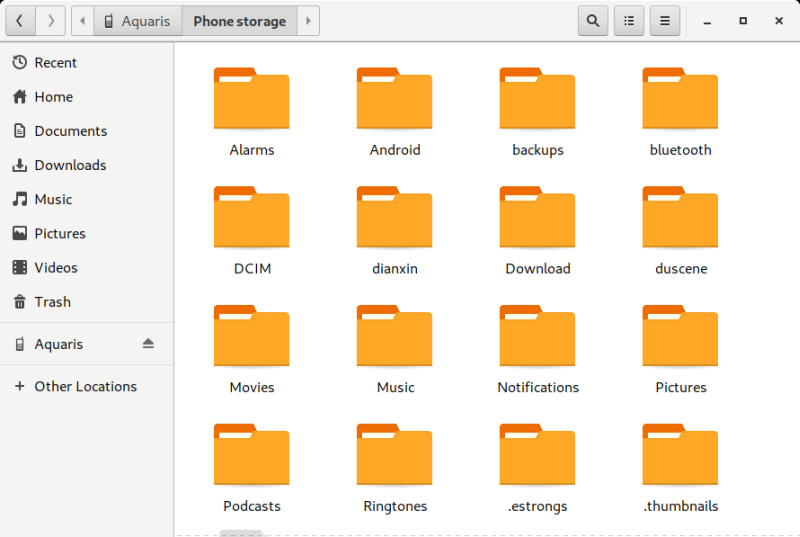 The system looks the part with a nice Numix Frost theme and square icons. Not bad. The dock resizes based on the amount of added icons, so that sure can be improved. 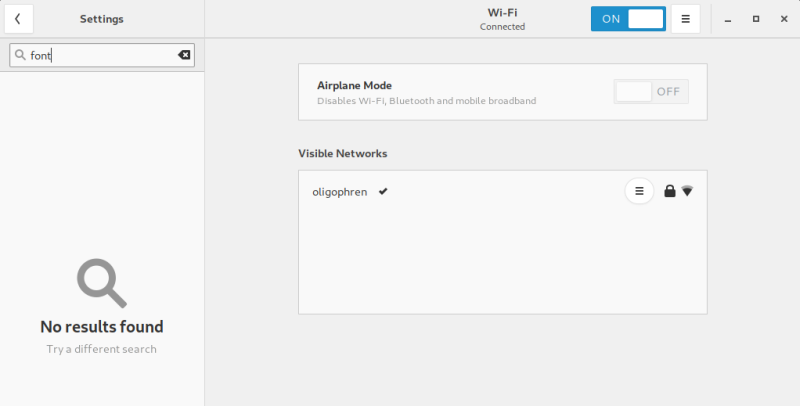 Once I had the Wireless up and running, Antergos did an installer update check. Weird, but okay. The network worked fine. 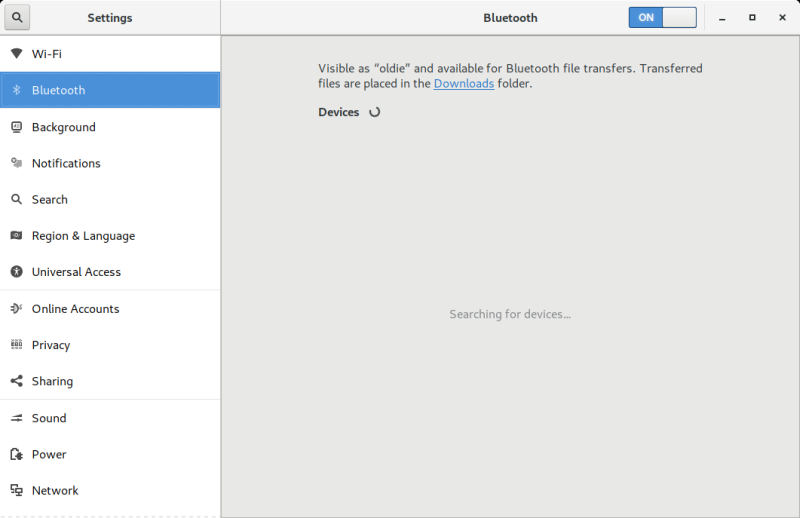 Bluetooth is not available in the live session, and neither is the printing service. Samba also did not work. Very bad. 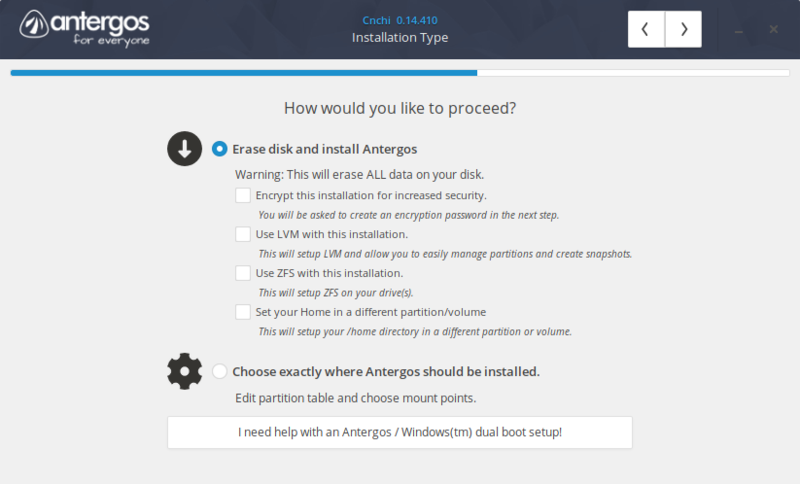 If the live distro is meant to be a tech demonstrator of what the system can do, then it fails to highlight the advantages of Antergos. Very nice. Good contrast, good clarity. I'm liking it. But then, we will also check what happens after the installation. Overall, among the better results I've seen in a long, long time. Weird. MP3, HD video, good, but ... for the first time EVER, there was a stutter/lag playing the same old file that I always use in all my tests. Video was definitely choppy. I've never had this before, so it's quite odd. The video player also comes with an odd dark theme - why. 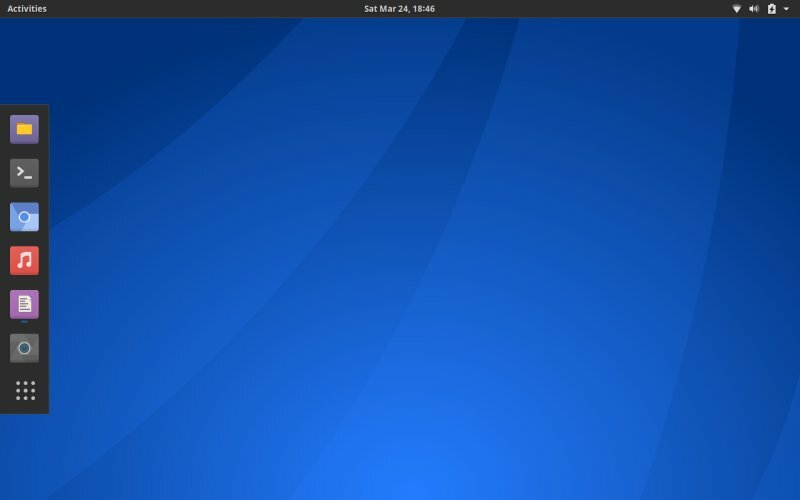 Like Cheese, it simply refuses normal integration in the Gnome desktop (an outstanding issue since about 2011). 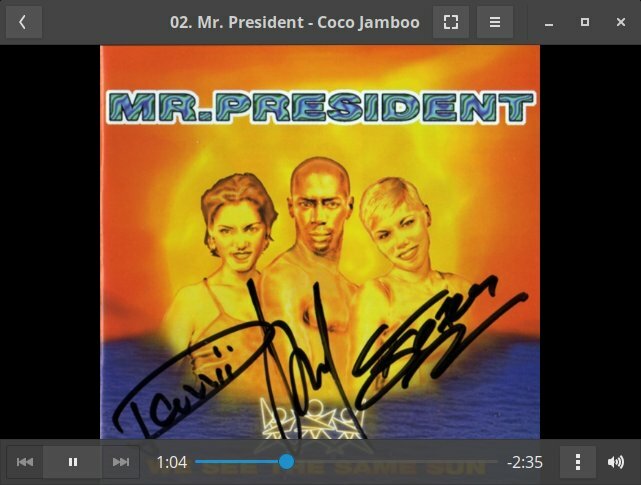 No music playback integration in the system area, either, and Videos is also the default player for music, go figure. There were other issues, too. 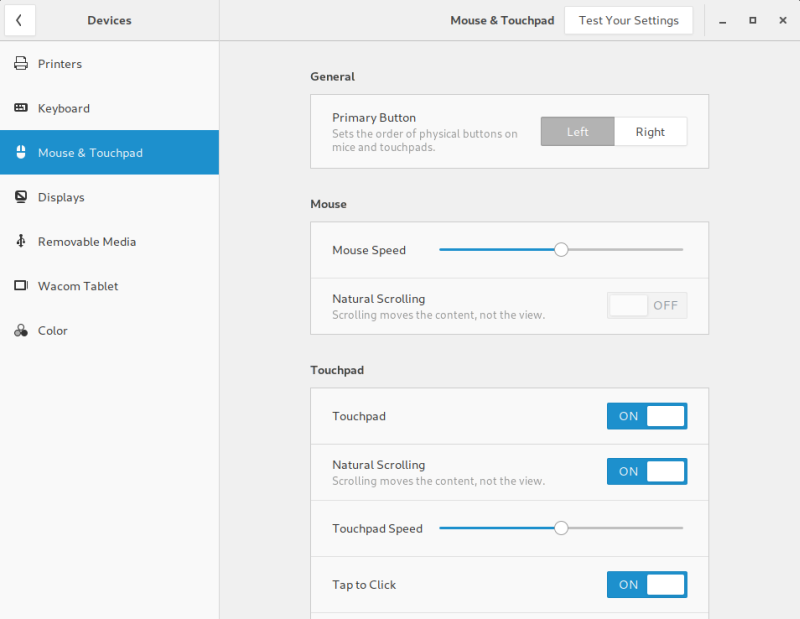 No touchpad control, and it was quite jittery and annoying. Really ruins it for someone who just wants to type like a wild monkey, ergo me. 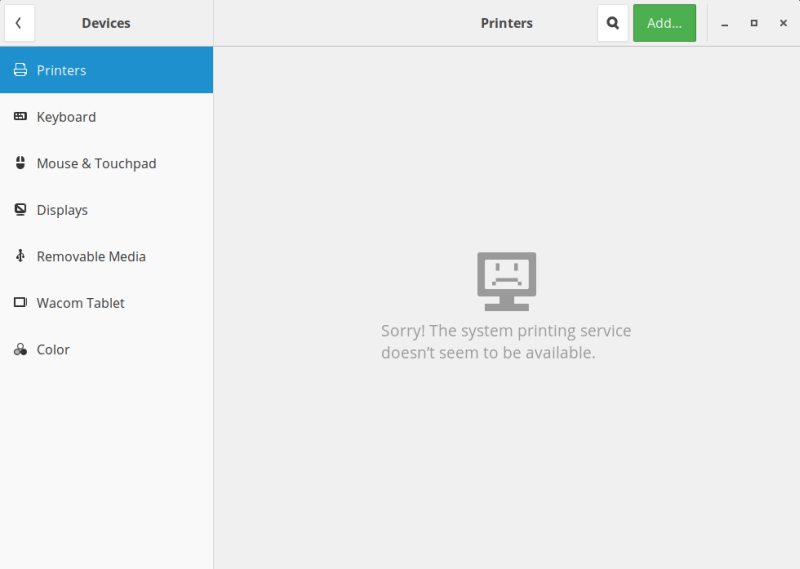 Well, perhaps Antergos will sort this out after the installation, but so far the showing was bland. Another thing is, the app window border changes size based on whether the window is of "normal" size or maximized. Notice with the Chromium browser. One, two. Odd, why? 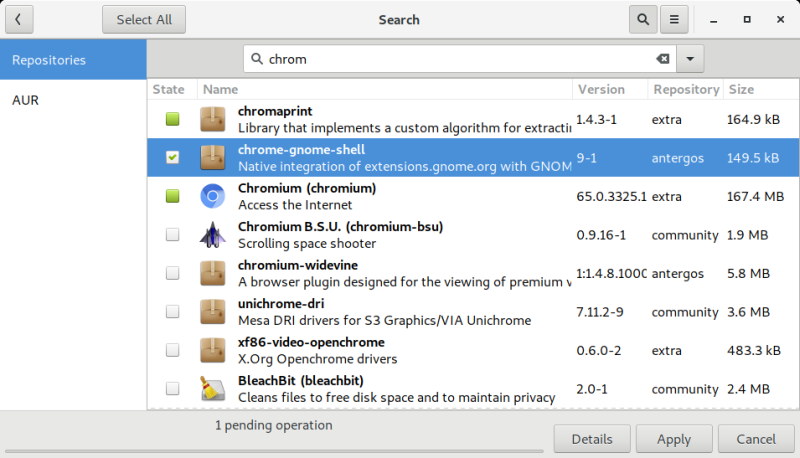 No right click > new file in the file manager, this stupidity in Gnome is still around. Notifications also popped with a long and almost random delay. If you want to save a file in the text editor and start typing right away, it searches rather than create a filename. The focus is not in the filename field. File fail one might say. 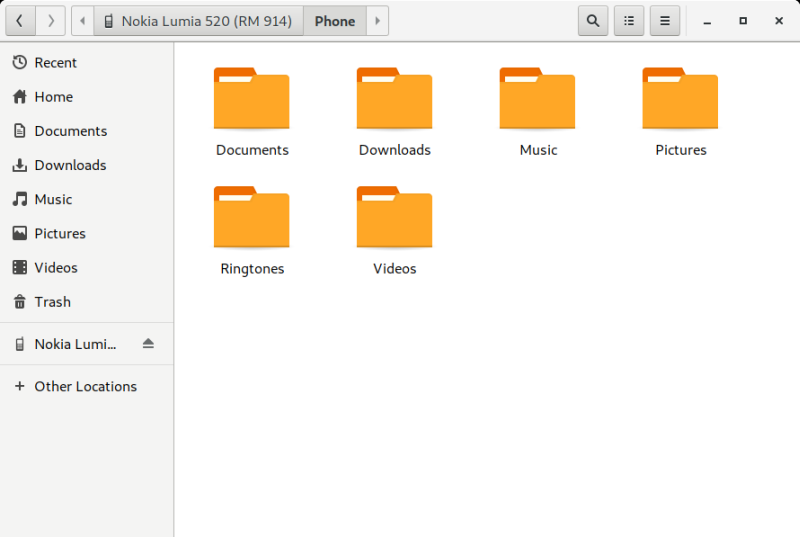 Lastly, no option to sort folders before files, and no settings menu to change this. Not bad overall. The usual deal, the cool step of customizing your installation, reasonable slides, reasonable overall installation speed. With some snags here and there, of course. The usual English locale selection, which always pisses me off in pretty much every distro. Notice, Nvidia marked correctly - important for later. The partition step is also a bit ... dangerous. 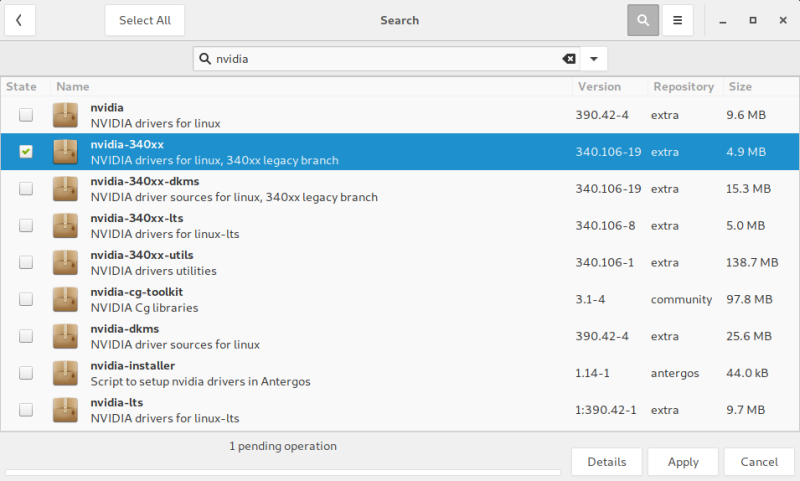 Antergos comes with the ZFS support, which is rather cool, but then it defaults to wiping everything. Really? How about some multi-boot friendliness, right. The partition list has no labels or names, so you need to know what you're selecting or doing by device identifier. It can definitely be made more newb-aware. The rest of the setup was uneventful. The dual-boot configuration worked all right. Well, well. First, the desktop loaded WITHOUT the Nvidia drivers, even though I had the option correctly selected in the Feature Selection step. That of course explains the lack of Nvidia driver splash. Also, the boot menu is horribly mishappen. It shows at an odd resolution, as if 640px but then blown to the full screen size and shifted to the right. Something you'd see on ancient CRT monitors, kind of. The actual menu entry were half cropped on the right size of the screen. Weird, sad. Also, why did it change the wallpaper? What! What happened? After the installation, the supreme fonts we had are gone! I took some screenshots to start comparing. One from the live session, and other in the installed system. Same font, same anti-aliasing settings. Only now, the font is smaller, paler, and it just does not look right! Worse, yet, the screenshots do not fully reflect the actual effect on the screen (and I didn't have that silly red light shift thingie running). Top, live session, bottom, installed system; different font sizes, also, it looks different on the screen, too. I booted the live session again, and indeed, it was all great there. I carefully wrote down all the different font settings, and compared them to the installed version (with Nouveau AND Nvidia drivers as it happens). The interface font size has changes from 13/12pt down to 11pt uniformly, but even with the size increased, it still does not look right. I also tried all the different font anti-aliasing and hinting options, nothing. 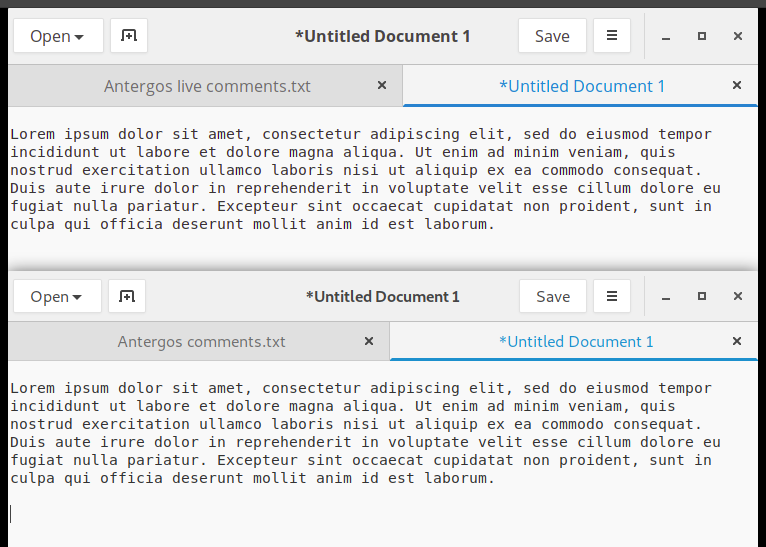 For some strange reasons, there's a terrible font regression between the live session and the installed Antergos. Top live session, bottom installed system; window/interface at 13/12pt, text at 11pt. Still, they don't match. The only thing that makes sense is perhaps a tiny font library change that leads to the difference. After all, there's no reason why there should be any differences between the live and the installed sessions, and yet, they exist. You can best see that if you compare the number 1 (Untitled Document 1). Sans versus serif or something. At this point, I tried updating the system, but the package manager said, all good. I did install new software, and the process was quite and simple. I added everything related to Samba that I could find, to see if this was going to help. More on the success of that escapade in a jiffy. Manual labor, but it worked. Reboot, splash, good. Fonts still 'orrible. Not bad, but a bit weird. We had the snags earlier and above, right. 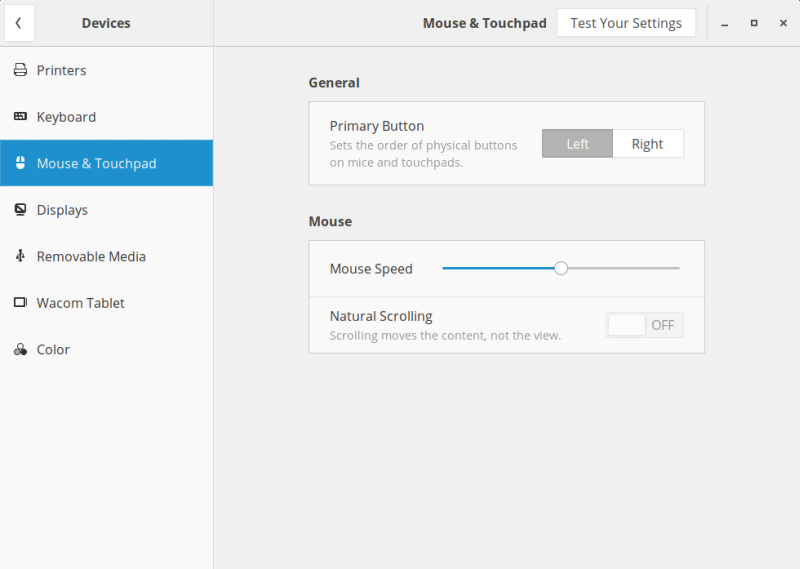 Now, touchpad works fine, but you can control it from both the settings menu and the Gnome Tweak Tool. Also, the changes made in the latter were not immediately reflected in the standard system settings, or they offer a different subset. Fn buttons worked fine. Suspend does not work on this laptop - any distro, unless I use ATA IDE mode. 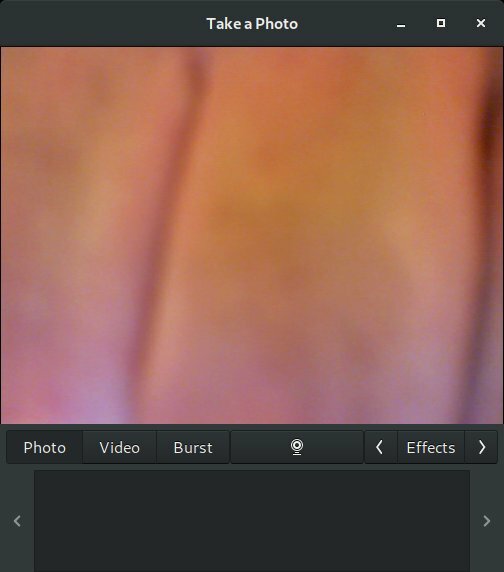 Webcam, fine, except the odd dark theme. Not as good as it should be. Android and Windows Phone worked fine, including playing music. But then, iPhone was not detected at all! Nothing. Pretty much all other Gnome-based distros handle the iPhone 6s with iOS 11 just fine. So we have another regression. 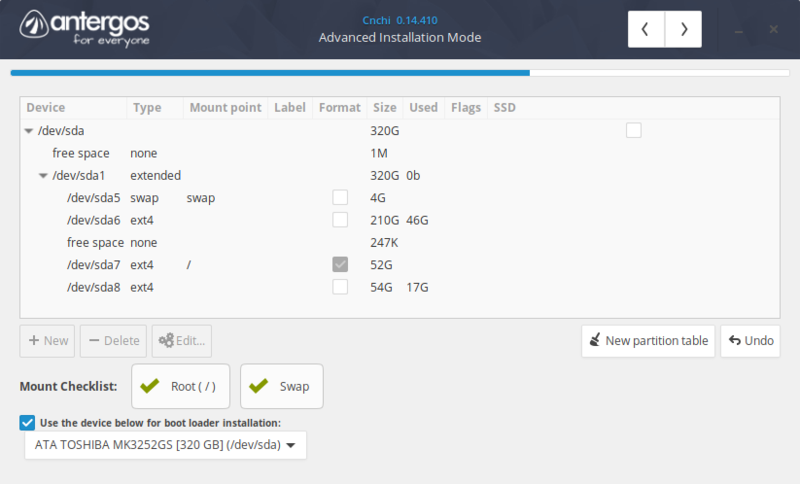 Installing all them Samba packages - that DID work in Manjaro - didn't do anything here. No samba. 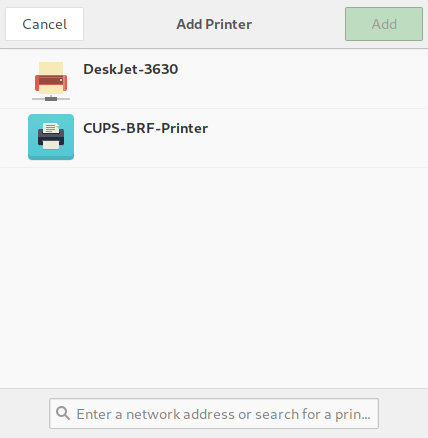 The Wireless printer was correctly detected, at least. And Bluetooth also didn't work as expected. It found no devices at all. Another regression. A colorful set, especially if enhanced during the installation. 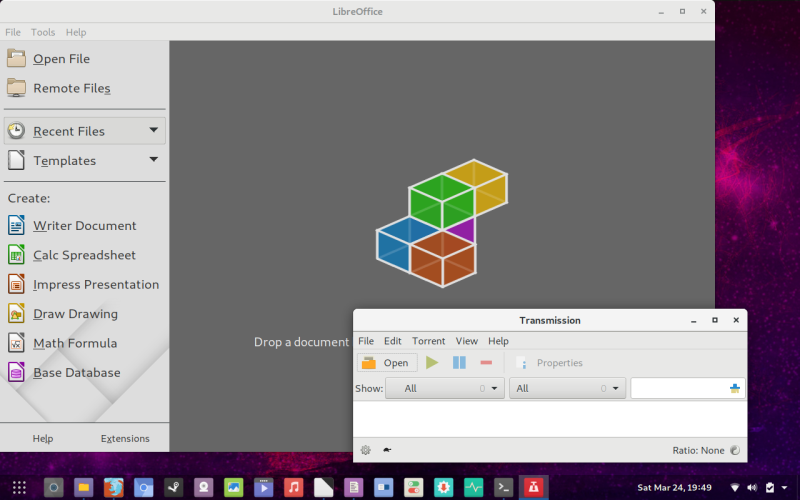 LibreOffice, Firefox, Chromium, Transmission, Cheese. Steam did NOT work at all. A regression, and this is something quite trendy with Arch-based distros. Needs to be sorted. /home/roger/.local/share/Steam/steam.sh: line 927: 14290 Segmentation fault (core dumped) $STEAM_DEBUGGER "$STEAMROOT/$STEAMEXEPATH" "$@"
Baseline, about 950 MB, so this is better than Antergos 17.9. CPU utilization remains more or less the same as before, at about 7-8%. This is worse than Xfce and Plasma on this same old 2009 machine. Performance and responsiveness are average. Surely not among the best results we had here. And remember the video playback thing. Yeah, that too. Another thing that really annoys me - scrolling in the browser. In the live session, it worked great. Clean, smooth jumps. In the installed distro, it was slow, laggy. Why? Why! 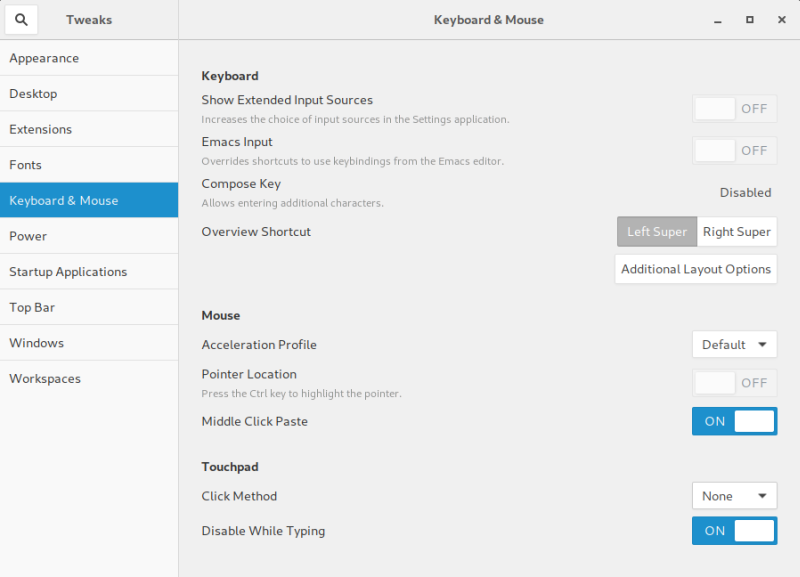 The settings menu is largely useless. If you search for, say, fonts, it shows nothing. Wow. 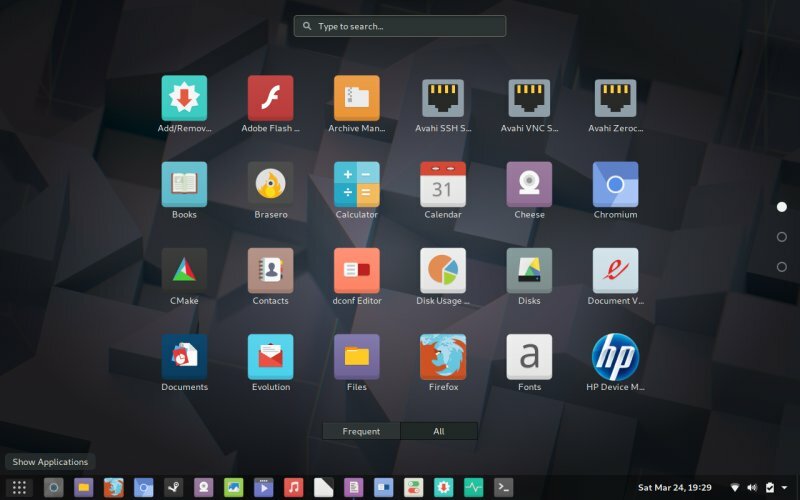 Gnome problems remain everywhere - without a dock, it's still pretty useless. 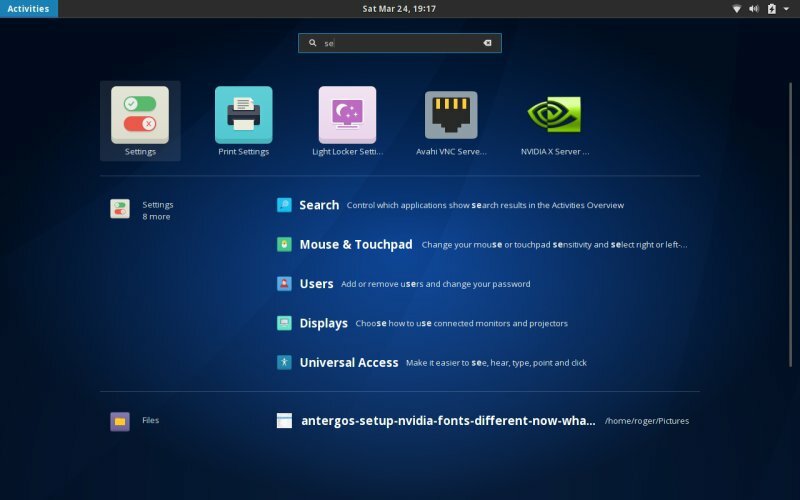 But even Dash to Dock (D2D) does not give you a show desktop icon, and you need to install Dash to Panel (D2P). Only to install new extensions, you need to fight your browser. 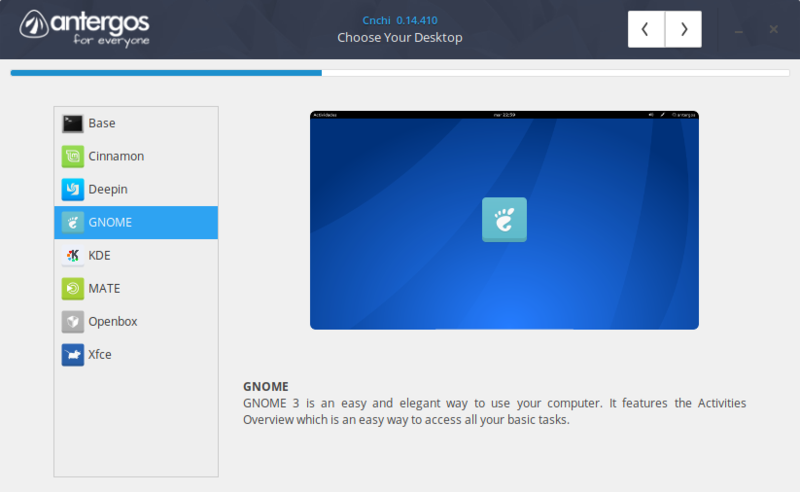 It will tell you that it needs two components to allow you install Gnome extras, neither of which is there. 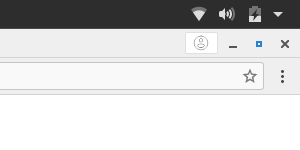 Allowing an addon in the browser is the easy part, but you still need to manually install the shell integration part (called chrome-gnome-shell, even for Firefox). 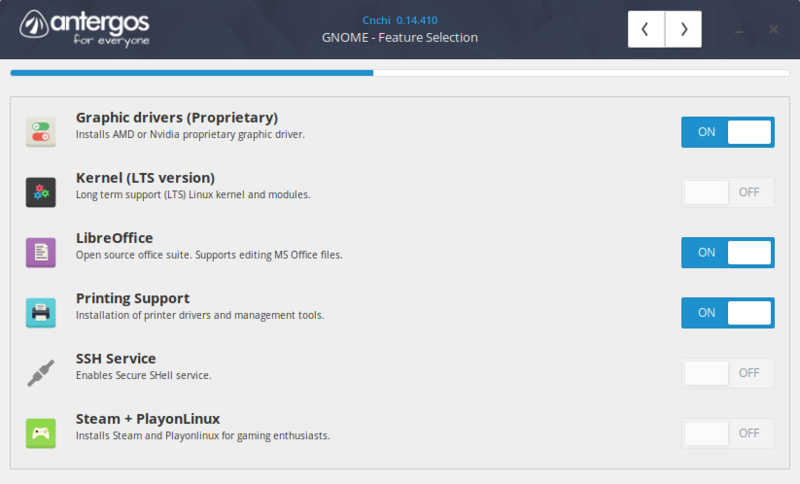 I talked about this in my pimping articles for Gnome, but it's still something that should be given out of the box. Why is the left border in the package manager missing? Or whatever. Then, if you want a wallpaper of your own - it must be in jpg format and in your Pictures folder, otherwise it won't work. Remember, this is not an Antergos problem per se, but we still get this nonsense in 2018. Then, if you haven't had enough problems, the D2D options screen is TOO high for a 800px vertical screen, so you can't really clicky thingie all of it and whatnot. Software developed with no regard to reality. Power management is virtually non-existent. No screen dimming on inactivity or anything. After making a few visual changes and logging out to have them take effect, the system complained about possible incompatible theme settings, and that I may have problems, but then it logged into the session without any issues. Some of the wallpapers are of low quality. This time, I did invest a little bit of time trying to make things work. 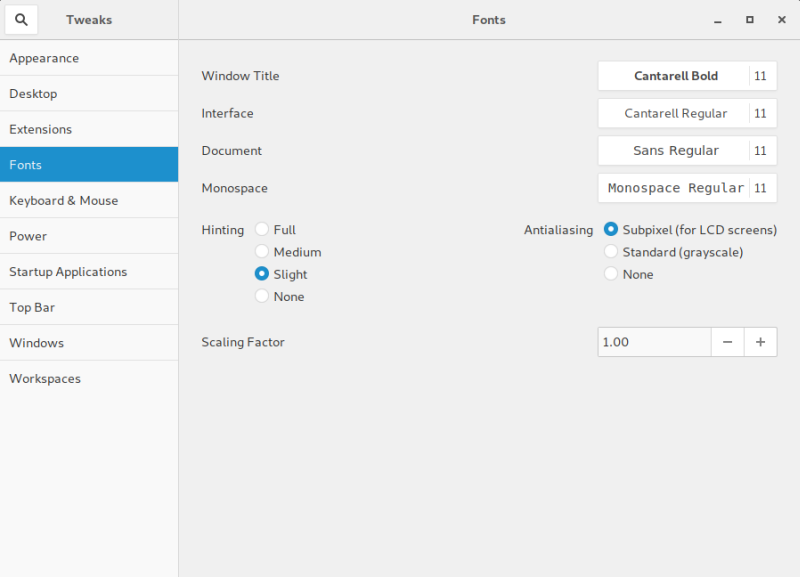 Not too much, as the Antergos team has done a relatively good job in improving the bland Gnome defaults, like the previous time. I fiddled some with wallpapers, icons, and of course docks. I also switched to Adwaita until that font issue is nailed. 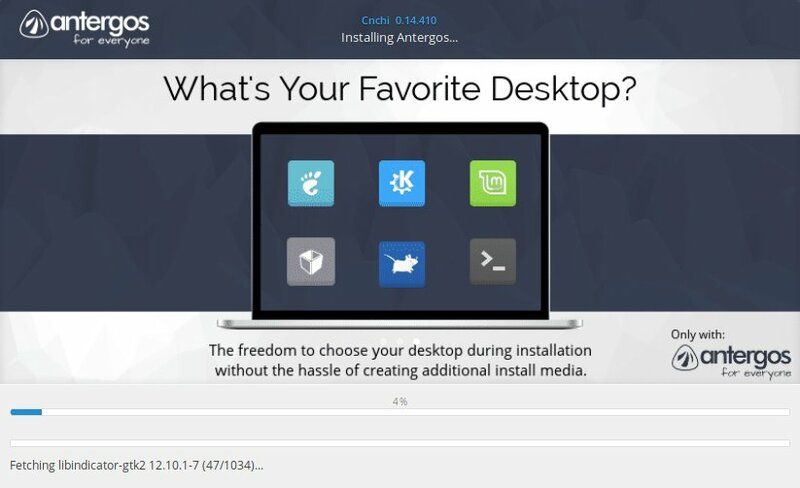 Antergos 18.3 is everything that 17.9 is not - in a bad way. My previous encounter with this distro was fairly good. There were issues, but they were not cardinal. This time around, we do gain some on the touchpad front, but everything else is a loss. Network support is bad, Nvidia didn't install outright, we have a font discrepancy between the live session and the installed system, no iPhone support, Steam crashes, and the list goes on. Virtually, everything is worse than it was. Another thing that pops to mind - Manjaro seems to be holding well. 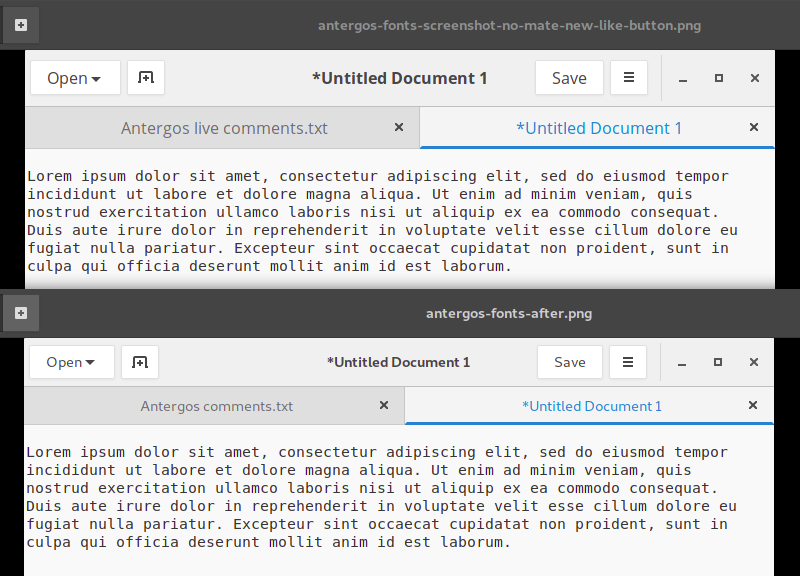 Antergos 18.3 feels like it's been cobbled hastily, with no QA, and the end result is jarring, frustrating and saddening. I mean why? 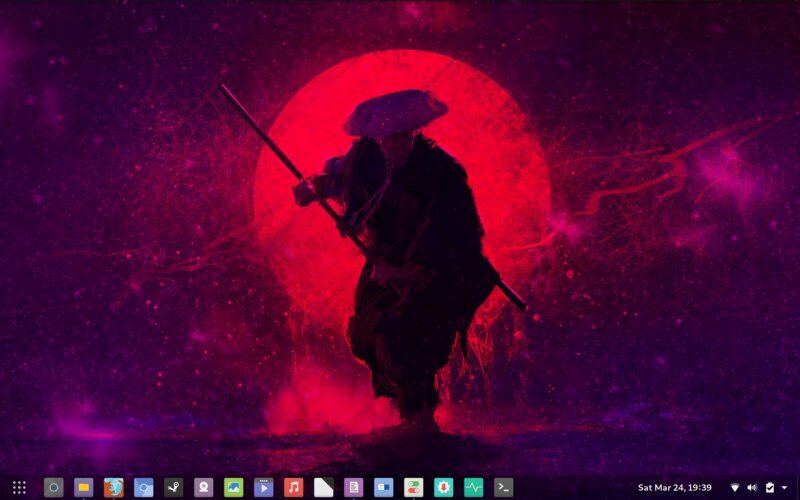 Just a few months ago, I selected this distro as the winner of my best-of-2017 Gnome list, and it really was unique, fun and colorful. The new edition retains the aesthetic spin, but it's more than negatively offset by hardware and software bugs and regressions. Unfortunately this time, I cannot recommend Antergos. 2/10. 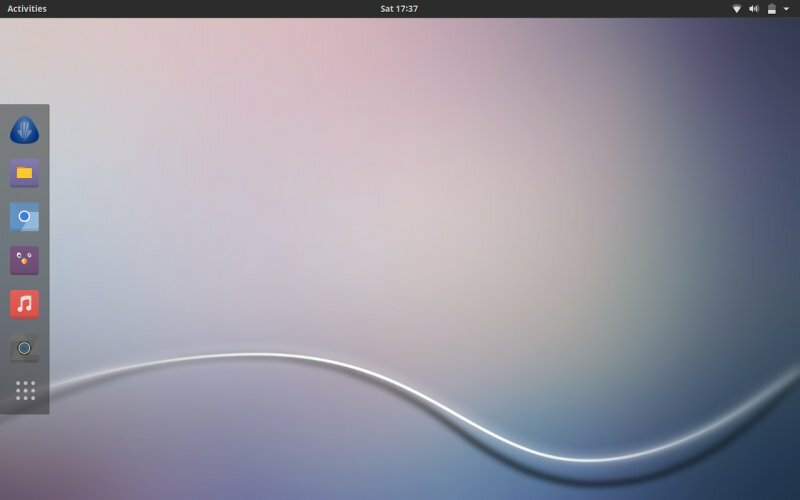 Hopefully, this is a one-time fluke, and it will go back to being a solid, refreshing alternative in the world painted Ubuntu. To be continued.